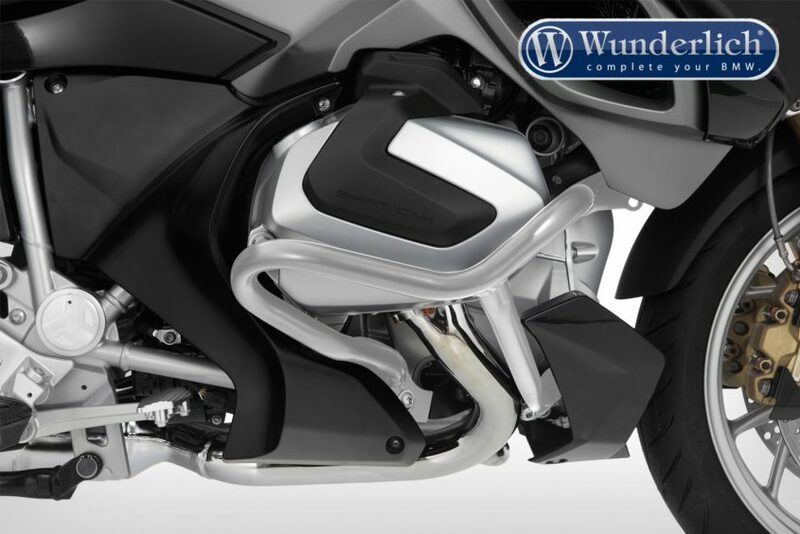 The engine guard not only reliably protects the cylinders and valve covers, but also the two lambda sensors. The all-round protection concept increases passive safety and thus the joy of driving. In the event of a fall or a fall-over, the forces acting are optimally distributed over the guard structure to the load-bearing pick-up points, so that force peaks are avoided. 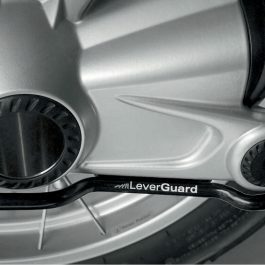 The engine guard is made of 25-millimeter precision steel tube. The pipe segments are formed on CNC tube bending machines and then welded clean. 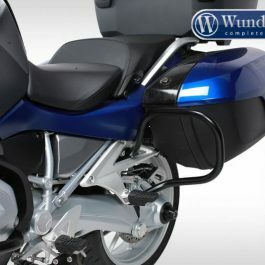 Visually, the protective handle integrates into the design of the motorcycle and underlines its striking appearance. 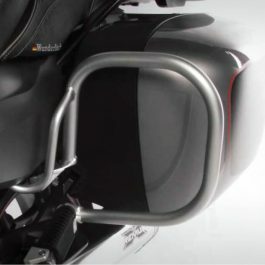 Our protective bars focus on protective function and product design. 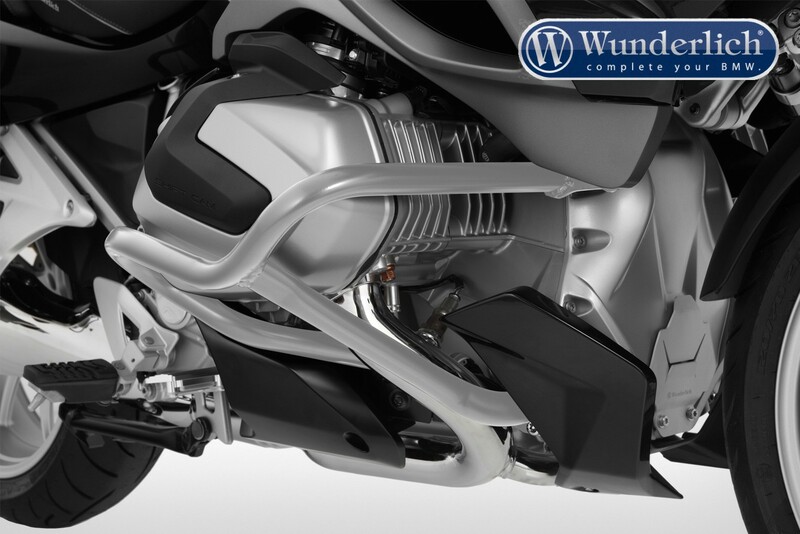 Discreetly, the engine guard hangs in silver around the motorcycle. The steel surface is powder coated. 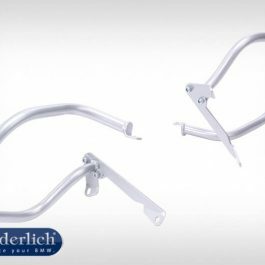 Be the first to review “Wunderlich engine protection bar – chromed R1250 RT” Click here to cancel reply.